United Autosports are preparing for the opening rounds of both the European Le Mans Series and Michelin Le Mans Cup this week (12-15 April). Ahead of the first round, the LMP2 and LMP3 teams will take part in the official Prologue, with the ELMS Prologue held on 9-10 April and the Michelin Le Mans Cup Prologue taking place on the 11 April. Will Owen and Hugo de Sadeleer return to United’s LMP2 team, racing the #32 Ligier JS P217 alongside Wayne Boyd, who graduates to LMP2 from our LMP3 team. United Autosports will be fielding two Ligier JS P217s in 2018, with Will, Hugo and Wayne being joined by Phil Hanson and Filipe Albuquerque in the #22 Ligier JS P217. Bruno Senna will be taking Filipe’s seat for the Paul Ricard opener, due to Filipe’s US racing commitments, which prevent him racing at Le Castellet. Our 2017 ELMS LMP3 Champions John Falb and Sean Rayhall return to the team for a second year, with the intention of defending their title in the #2 Ligier JS P3. The #3 Ligier will be driven by Tony Wells, Matt Bell and newcomer to the team, Garett Grist. Tony and Matt previously raced together for United Autosports in the LMP3 Cup last year, while Matt is a regular to United Autosports. Tony also raced in the ELMS and Michelin Le Mans Cup in 2017, so has previous knowledge of each track. Canadian, Garett is new to the team and has never raced on the European circuits, but settled into the team well at their pre-season test at Portimao last month. This year, United Autosports are running three cars in the Michelin Le Mans Cup. Matt Bell is doubling up racing duties, returning to the #22 AERO Ligier JS P3 alongside Jim McGuire. This weekend’s Michelin Le Mans Cup race will mark Matt’s 100th race with United Autosports. Richard Meins also returns to the team in the #23 Gulf Marine liveried Ligier JS P3, alongside our 2016 ELMS LMP3 Champion, Christian England. The #32 Ligier will be piloted by newcomers Naj Husain and Colin Braun for our third full season entry. Colin is unable to race at Paul Ricard, due to also having conflicting IMSA racing commitments, meaning Naj will be joined by single-seater racer, Mahaveer Raghunathan for the opening round. 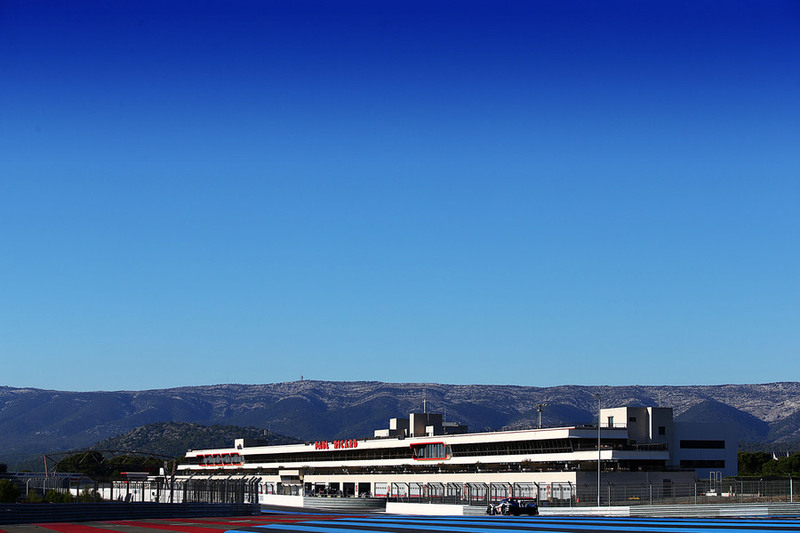 Track action begins tomorrow, Monday 9 April, at 09:00 for the ELMS prologue. The race weekend begins on Friday 13 April at 10:00 with Michelin Le Mans Cup free practice, with their two-hour race beginning at 16:00 on Saturday 14 April. The four-hour ELMS race begins at 12:00 on Sunday 15 April. "After missing out on Sebring for personal reasons, I'm more motivated than ever to get back in the car with United Autosports. It's going to be double debut for me, with the first time racing in the ELMS and also sharing the car with Phil Hanson, so there's a lot to learn and I'll push to have the best debut possible!" "It’s amazing to be back with United Autosports in 2018 and I'm overjoyed to be sharing my seat with Will again. We achieved so much in our rookie year and now that we have that experience, we can keep progressing and minimize our mistakes. Wayne is a logical addition to our LMP2 programme, not only is he an amazing character, he's one of the quickest LMP3 drivers out there and no stranger to the team. I was there for his initial test at Aragon and he got on well, so I’m really pleased to have him as my teammate. Finally, with the addition of a second car, United has given us even more potential to perform and I'm super excited to start the season."